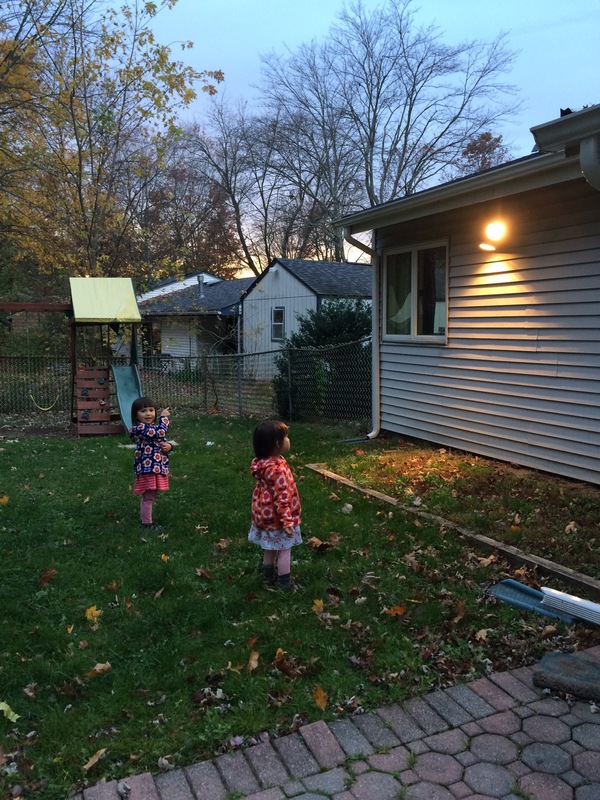 I’m starting to get the girls use to concept of dusk so we headed out to rake leaves after 4pm. When we’d finished in the front garden we headed into the back for a quick swing and they activated the motion sensitive lights. Yup, that was pretty cool.